I have decided to try Miss Jessie's Trial packages of Creme de la Creme conditioner and Pillow Soft Curls the night before Sunday morning to see if I can "wet that dries" style for the summer for a causal hair on Sunday morning! Since I am experience new growth in the back of my head I have heard these products are great for managability and styling of relaxed/wavy/new growth hair! 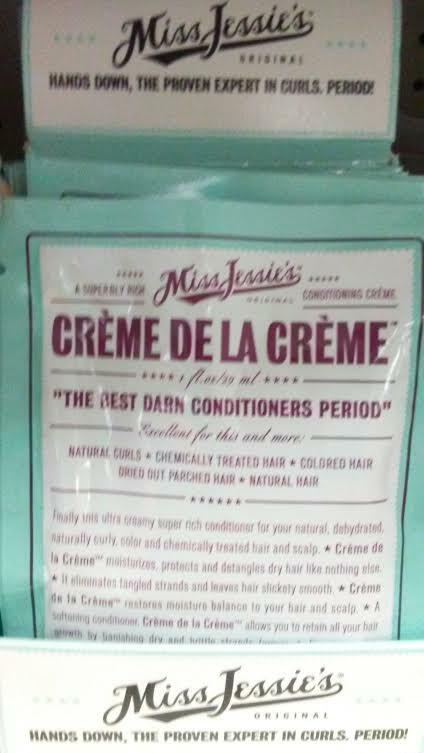 Normally, I don't have much luck in doing "Wash n Go" or Air Dry styles since my hair is prone to tangles and damage, but I thought to give it one more try with these Miss Jessie's hair products! 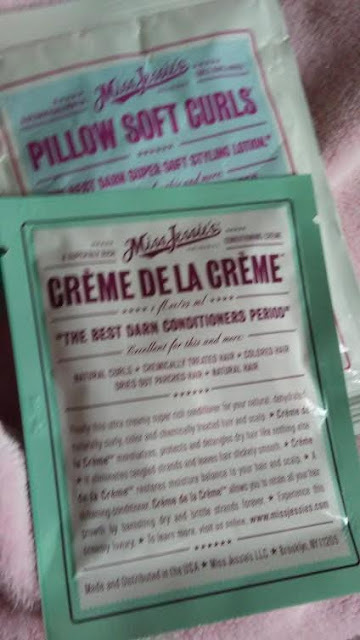 Due to my long hair length and history of dry scalp/dry ends, I use Creme de la Creme conditioner after shampooing for over 15 mins then rinse with luke warm water to seal my hair cuticles! I love the scent and feel of this conditioner for my hair! After the shower, I use Pillow Soft Curls and used a wide comb to distribute through my hair from root to ends before I sectioned each hair areas, secured, and covered overnight! In the morning, I was not have happy how my slightly damp more than a mop versus gorgeous waves for my Sunday Morning hairstyle! I just did a simple pull back with headband and clamp to cover up my hair disaster! 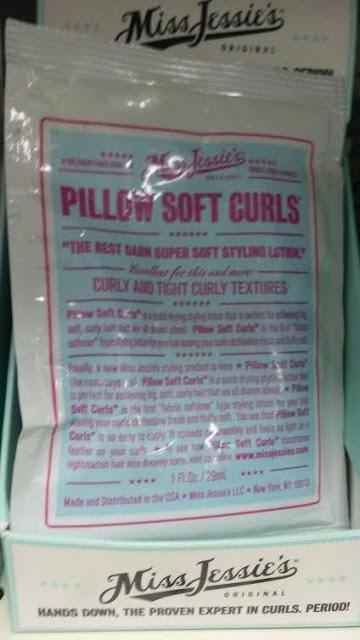 I will try Miss Jessie's hair products again but I will use my blow dryer and/or curling iron to get the desired wave look that I want after trying again for a wet/air natural style!